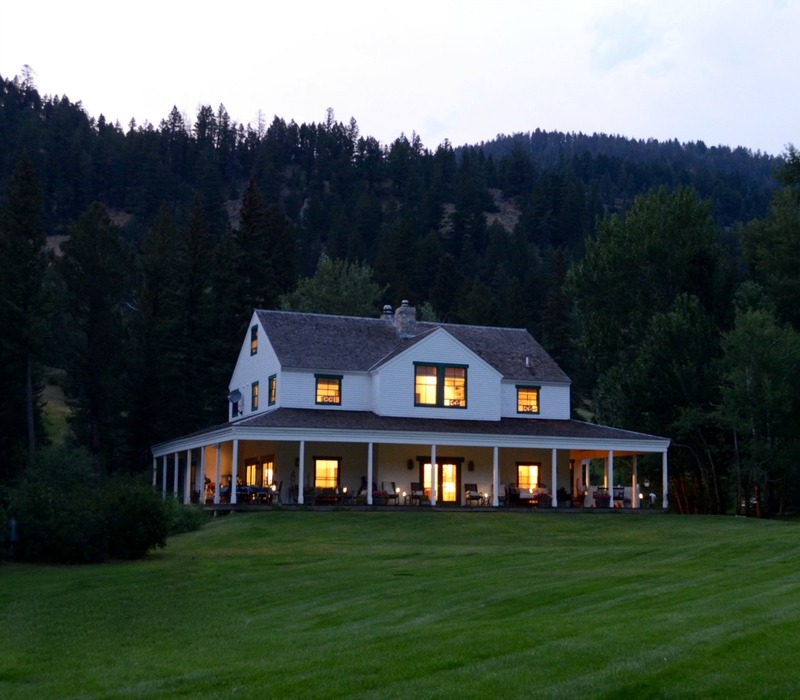 Today’s Eclectic Home Tour takes us to the 500 acre Montana ranch of Sanctuary Home. 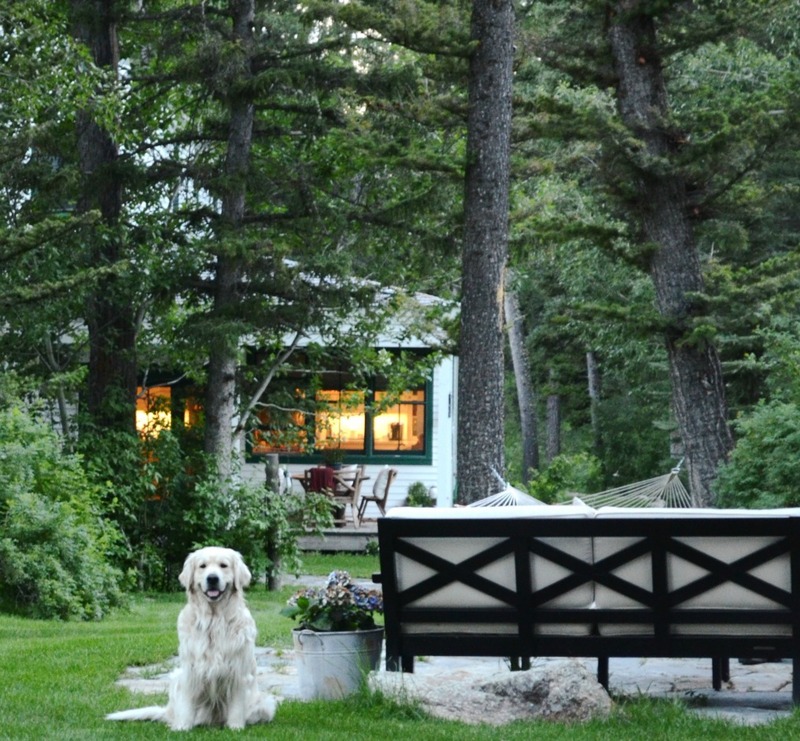 Karen of Sanctuary Home lives in Los Angeles but escapes to her Montana ranch whenever she can and I can see why. 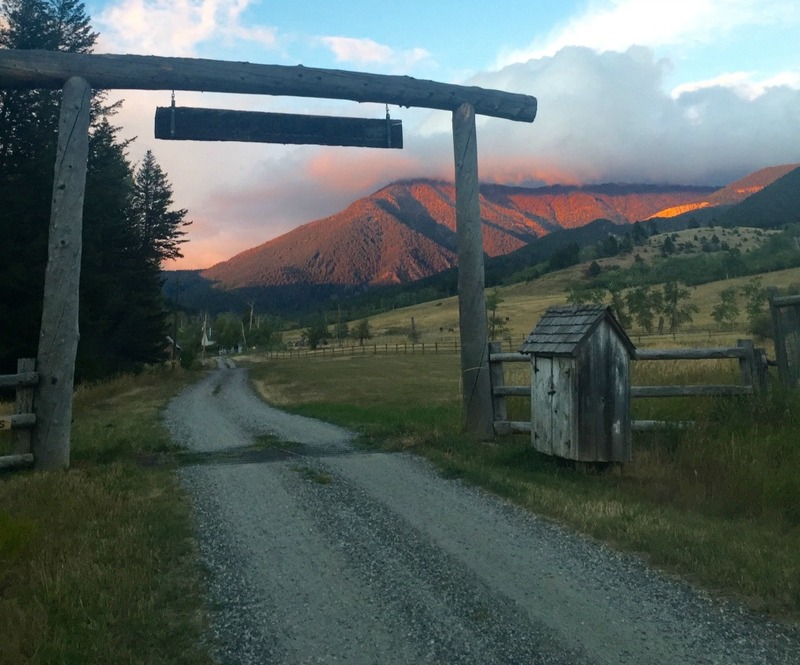 Welcome to Crow Hollow Ranch! 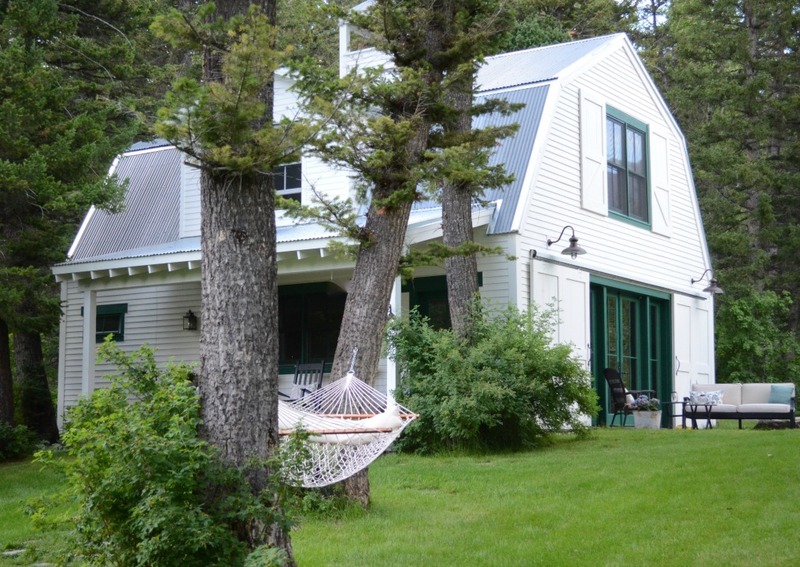 The property consists of the main farmhouse, guest house and a rustic cabin in the woods. 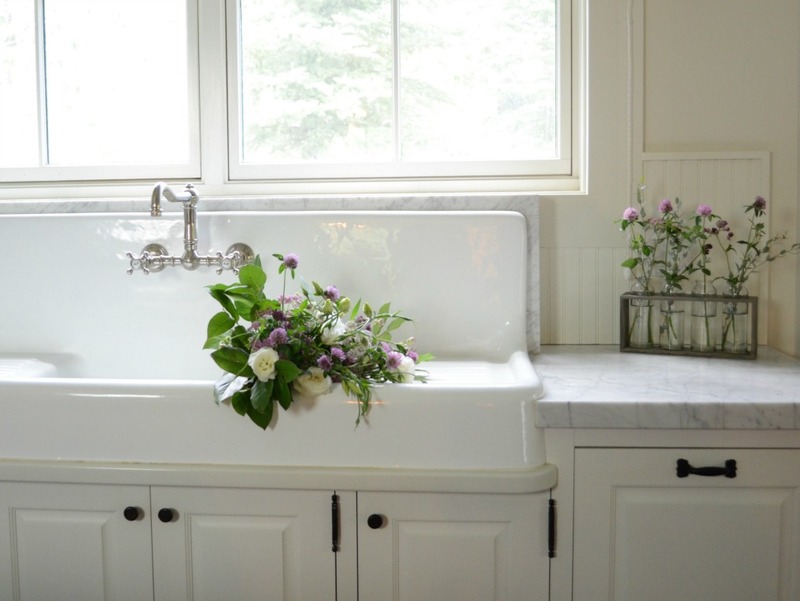 The sounds of rushing water can be heard from every room of the house thanks to a nearby creek. 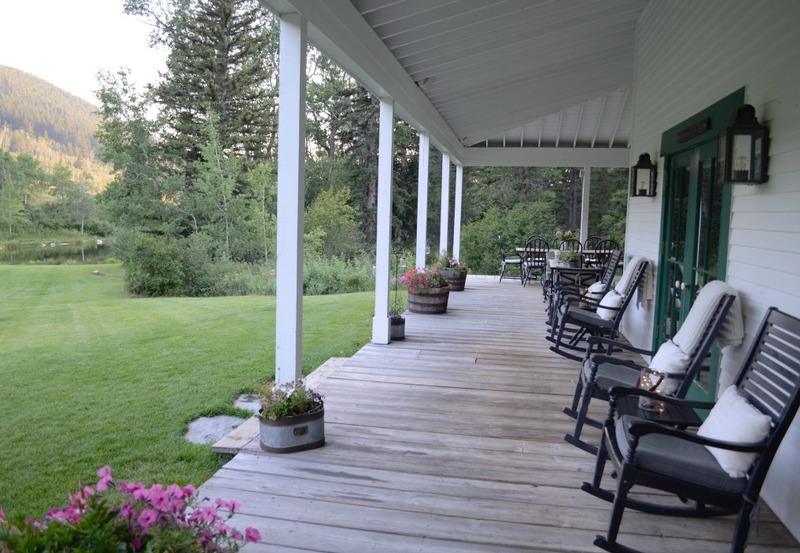 The wrap around porch overlooks the meadow and a row of rockers welcome visitors. 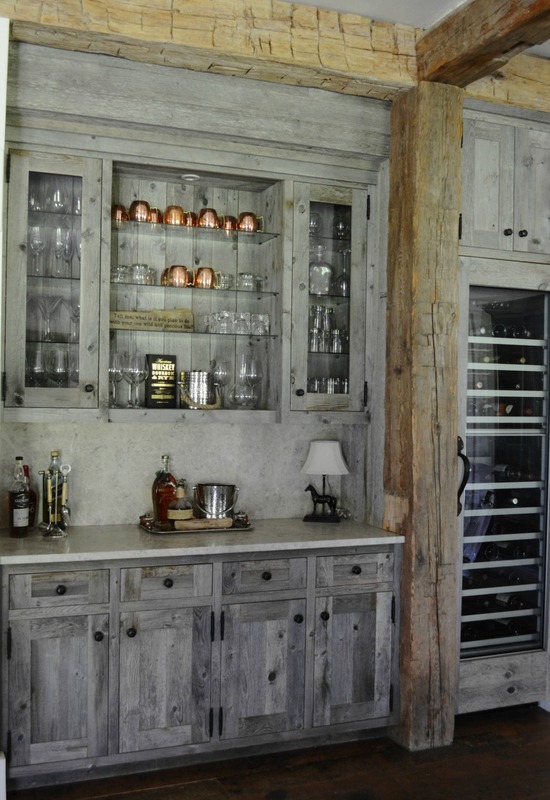 To add rustic character to the kitchen, reclaimed wood was used to cover the island and refrigerator. 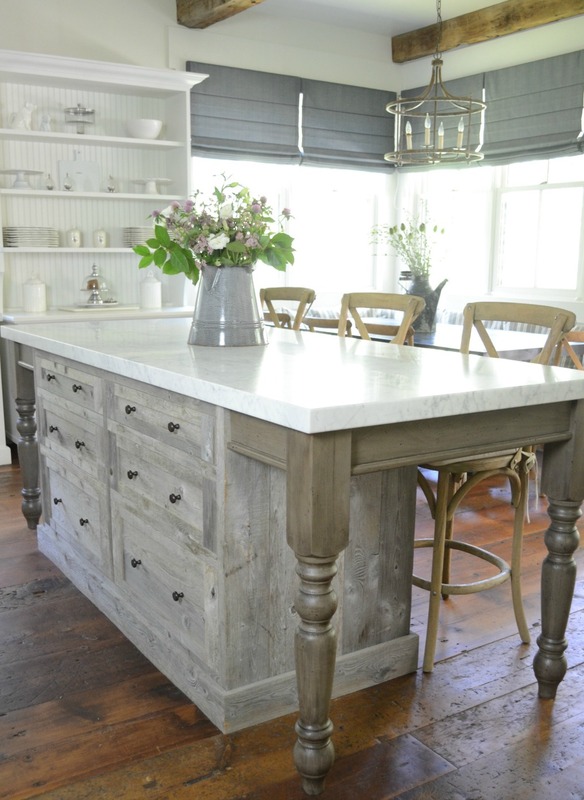 To make the island look more like a piece of furniture, table legs were used on the ends. 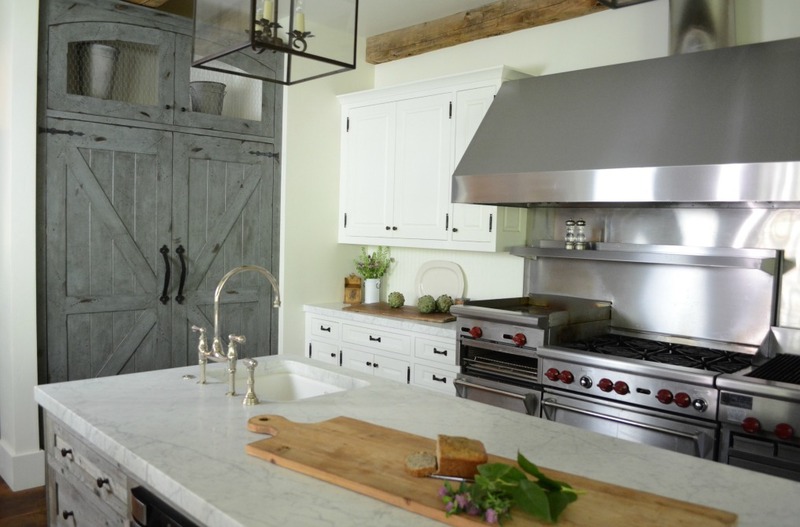 A commercial Wolf range has eight burners, a grill and a griddle – pancakes anyone? 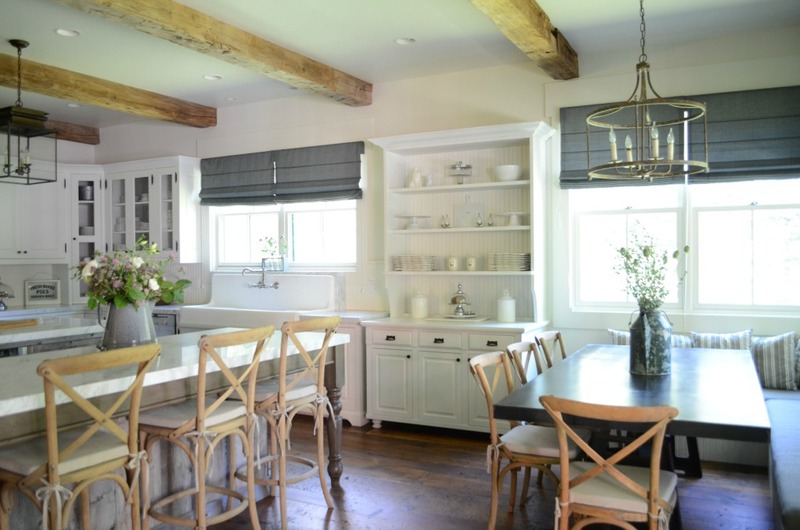 A custom cabinet that looks like a piece of furniture was designed to transition between the working part of the kitchen and the table. 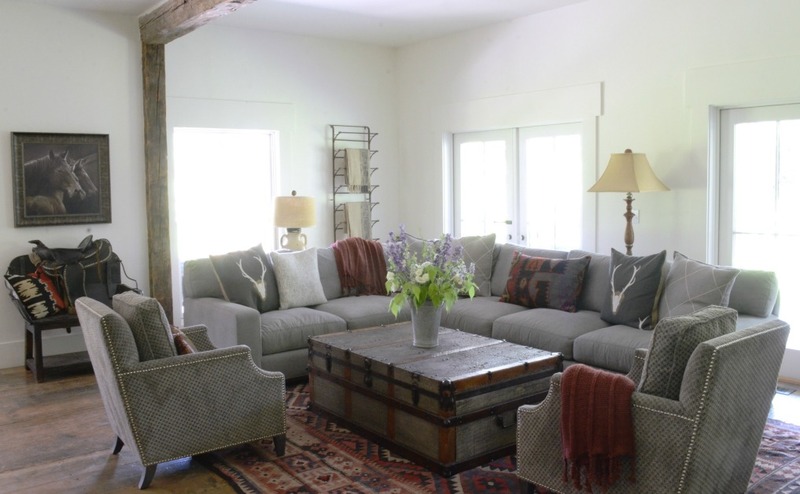 The great room is a whopping 60′ x 30′ and has two large seating areas, a dining room and a huge stone fireplace. 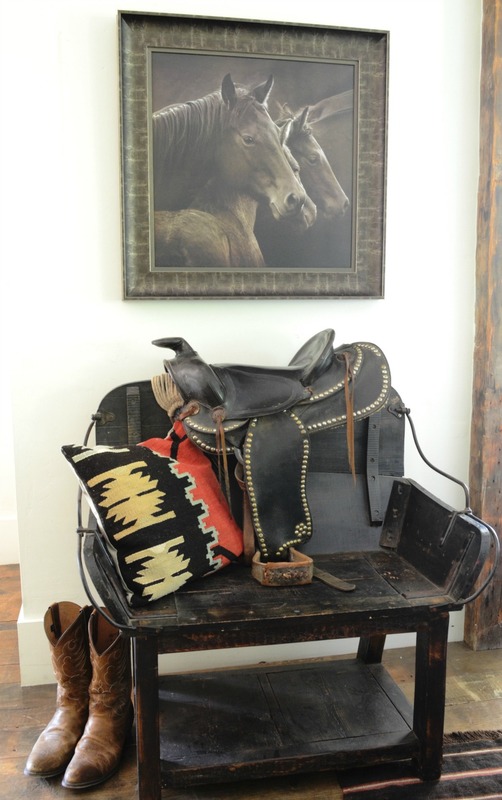 Warm earth tones and Western inspired touches help cozy up the large space. 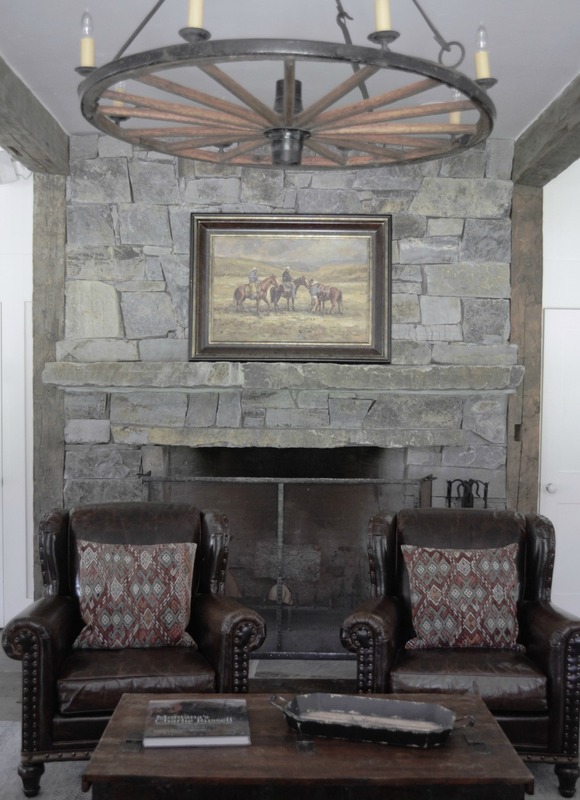 A Montana fieldstone fireplace is the focal point of the great room. 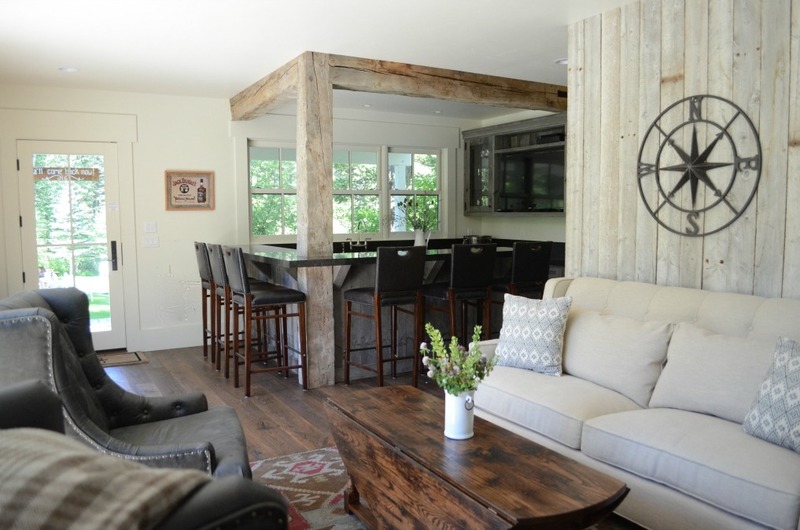 Perfect for entertaining, the reclaimed barn wood bar is at the ready for cocktail hour. The property can sleep 30 people and each bedroom has it’s own unique western theme. 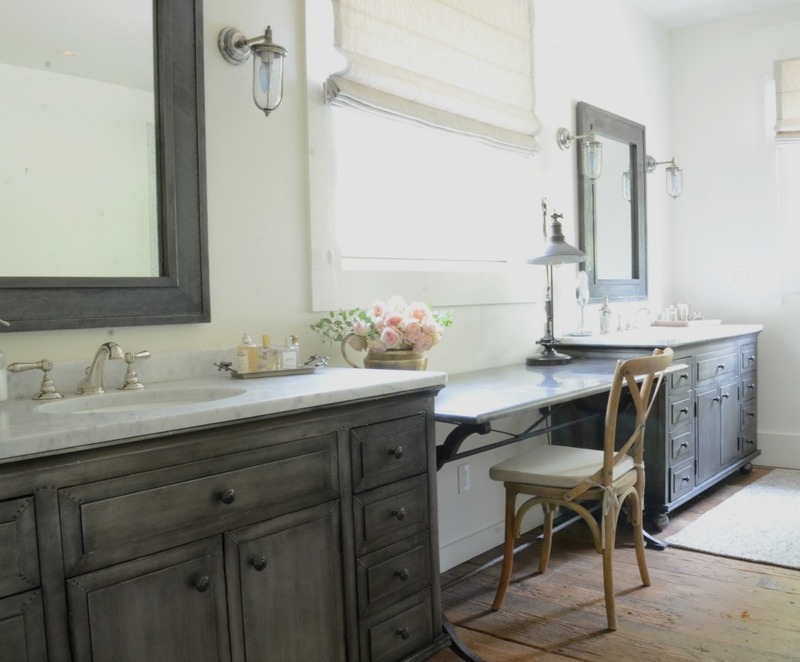 Karen turned an unused office into the master bathroom and used a pair of pre-made vanities with a table in between for a more farmhouse feel. 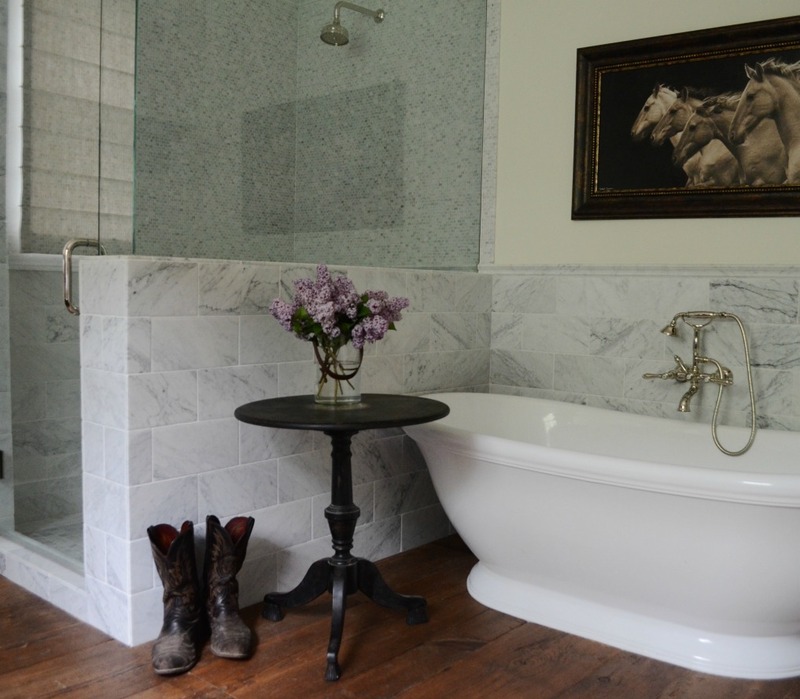 Carrara marble surrounds the free standing tub. 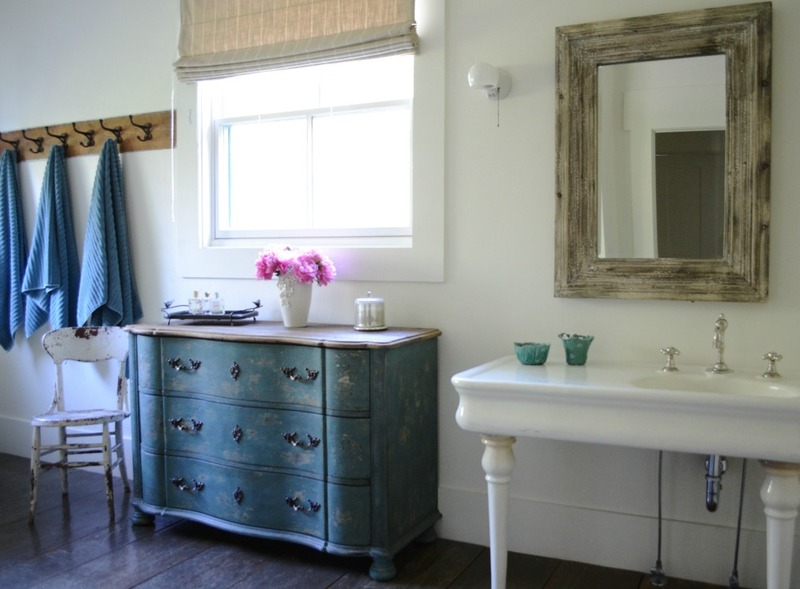 The guest bathroom already had the vintage sink and all that Karen needed to add was the painted chest for storage. 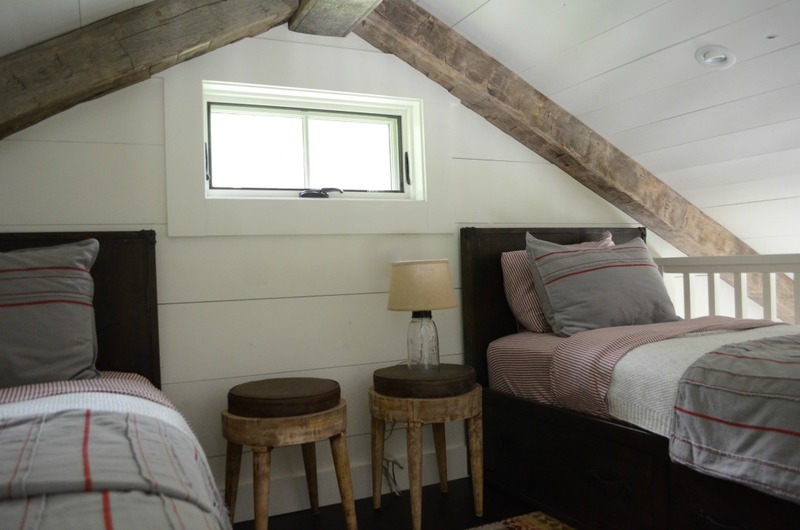 During their first summer at the ranch, Karen discovered the attic which they hadn’t seen when they purchased the house (it was only accessible by a pull down ladder). 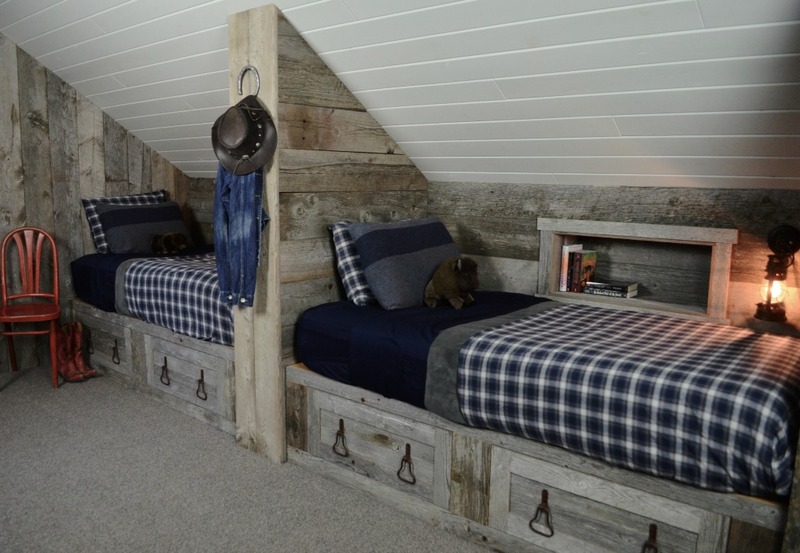 They decided to turn it into the world’s cutest bunk room using more reclaimed barn wood to make three twin beds and two doubles. 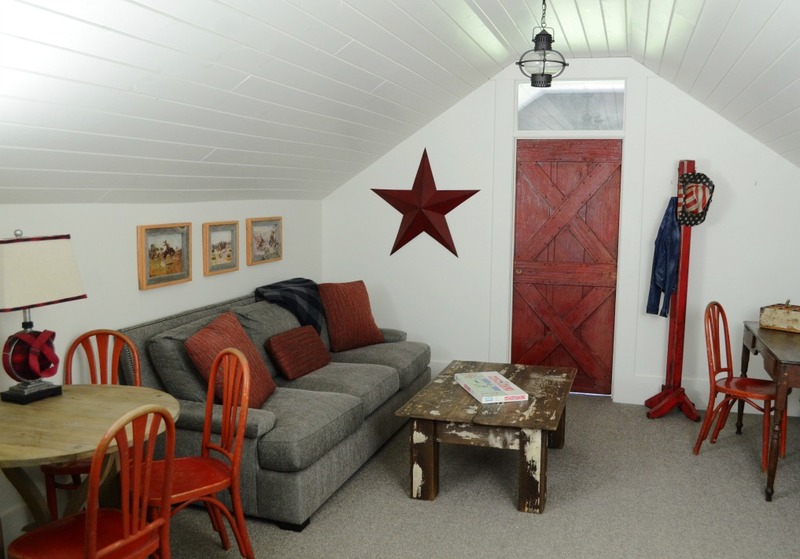 The other side of the bunk room is a great place for the kids to hang out. 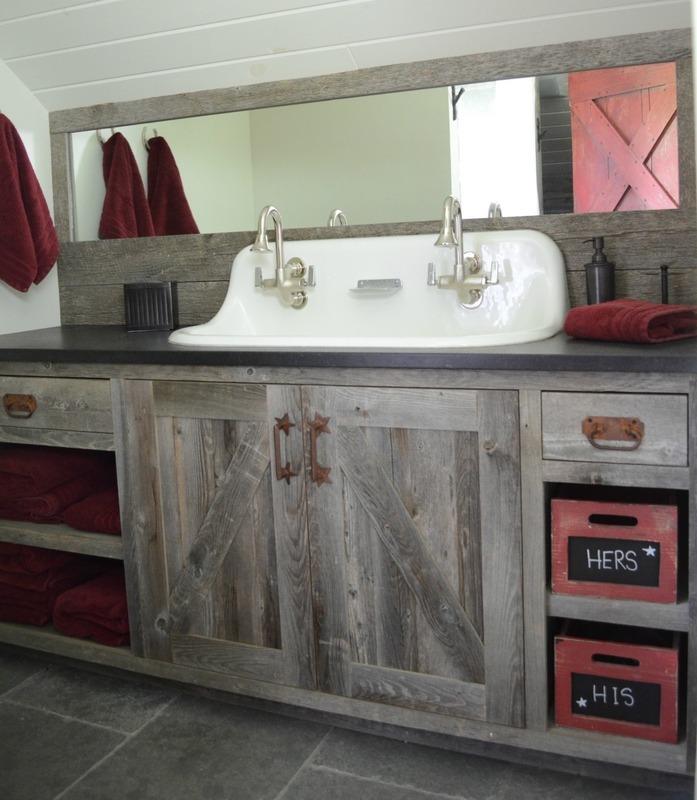 Even the bathroom has rustic charm and how cool is that double sink. Welcome to the guest house. 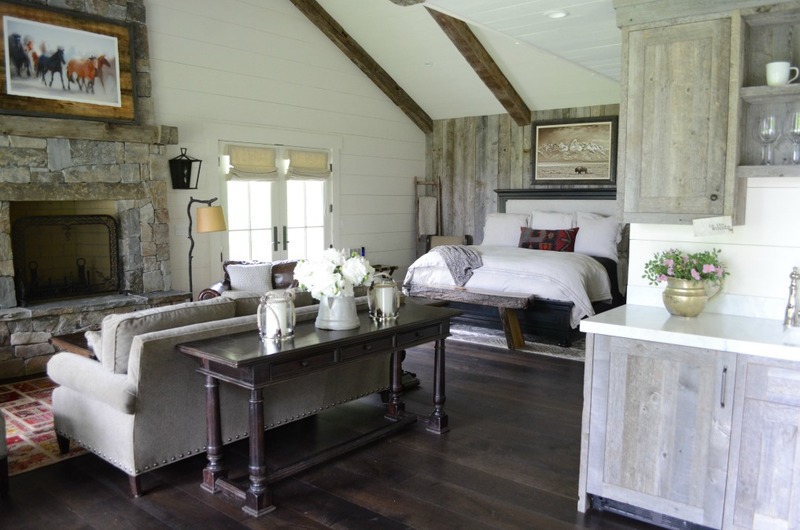 The existing storage barn was converted into a two bedroom, two-bath guest house by adding windows, dormers and a porch. 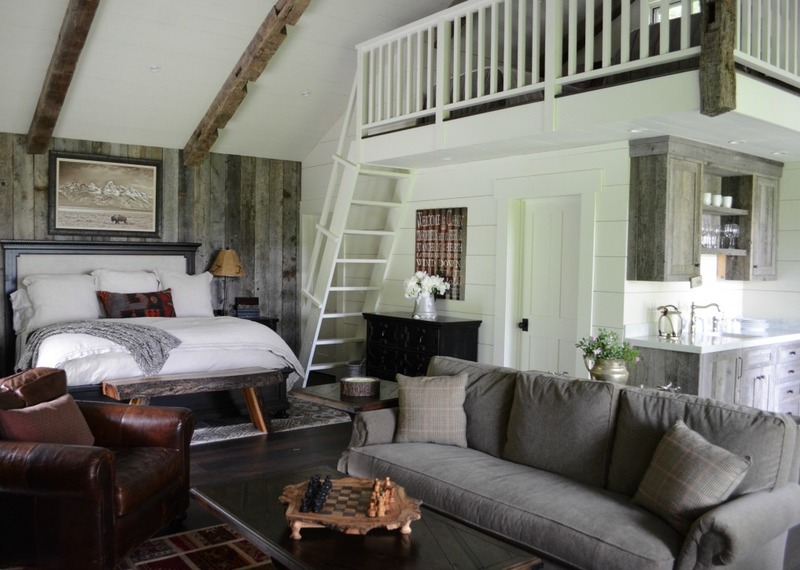 Inside is a cozy retreat. 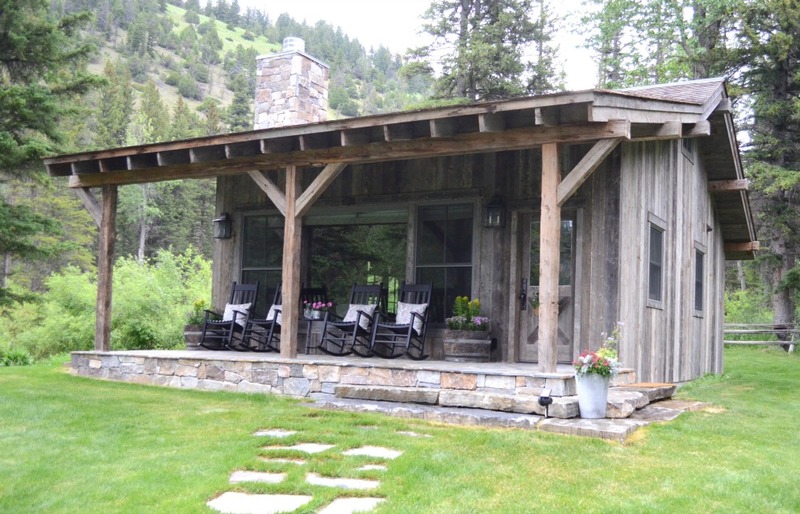 Last but not least is the little cabin in the woods that they have dubbed the honeymoon cabin. 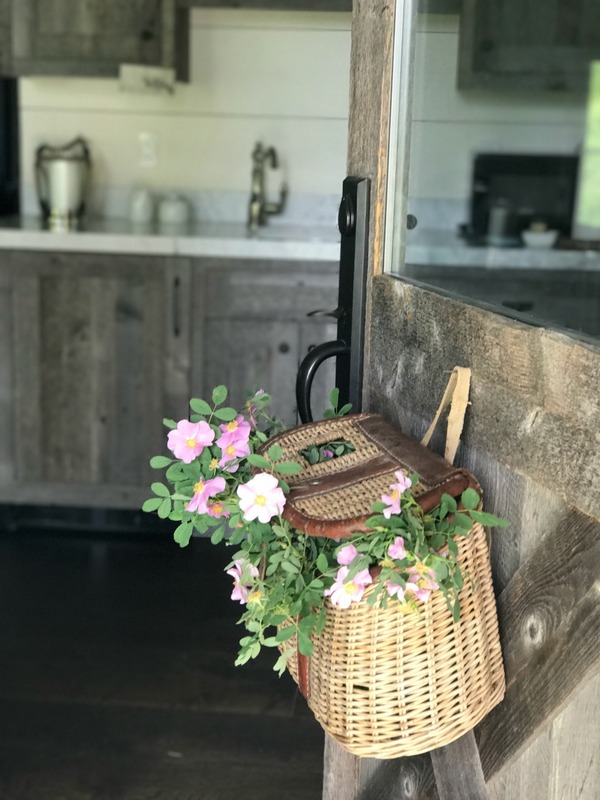 A vintage fishing basket makes the perfect front door wreath. 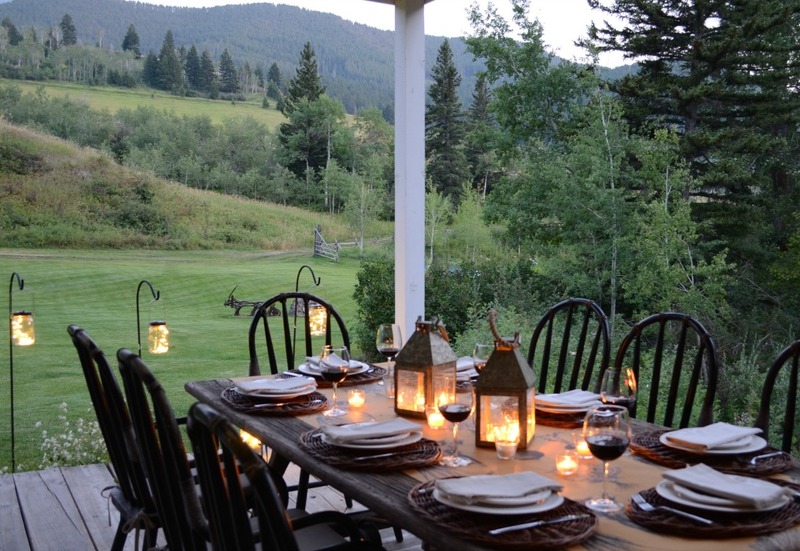 The stunning vistas make this a very special place and dining al fresco is a common occurrence. 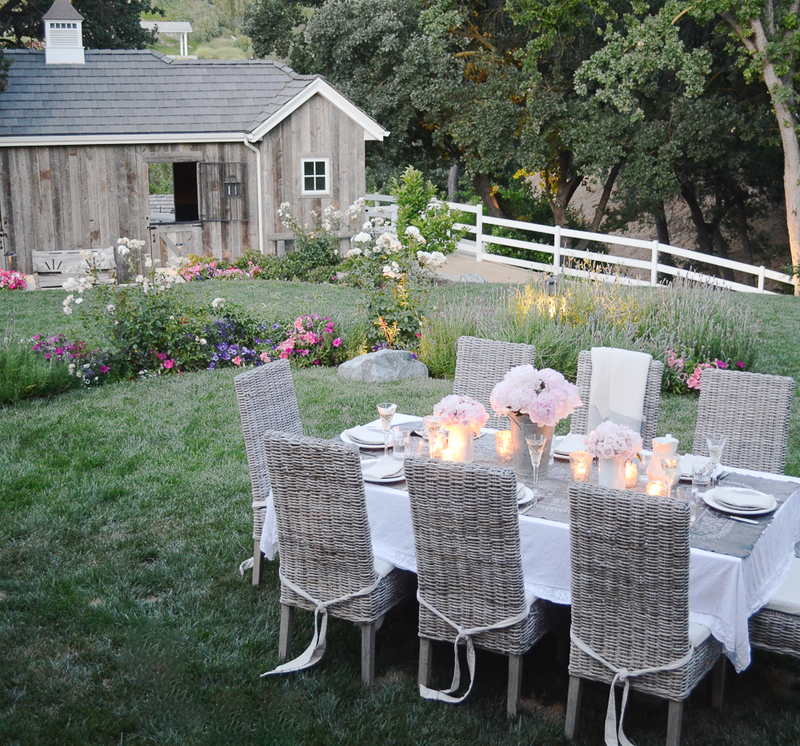 If this ranch is amazing enough, wait until you get a glimpse at Karen’s California home complete with the most charming horse barn. 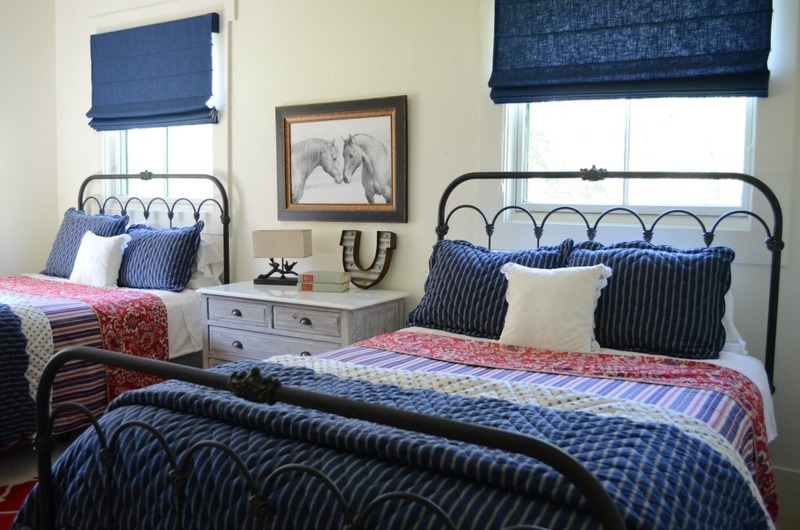 See more of stunning photos and home design at Sanctuary Home here. oh my …this farm is absolutely stunning. 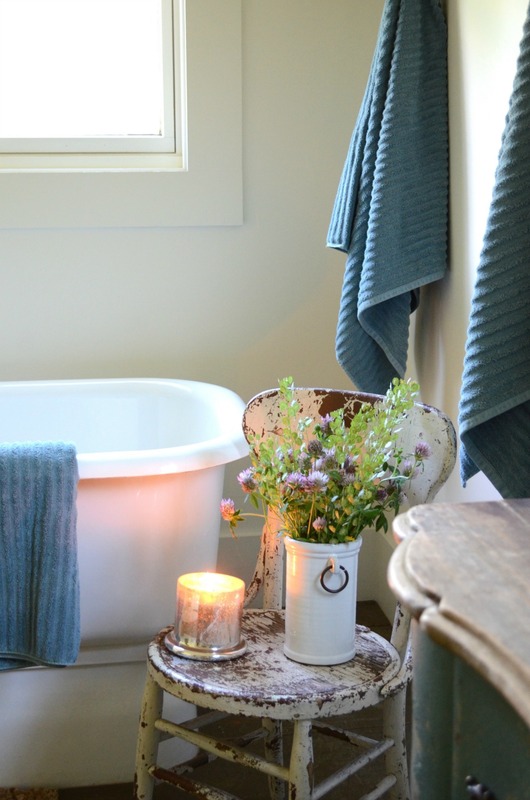 every detail is just beautiful and looks like the perfect place to relax and just enjoy life. Your farm is pretty amazing too! 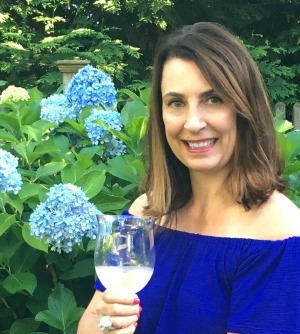 I agree – I’m a girl of simple needs! 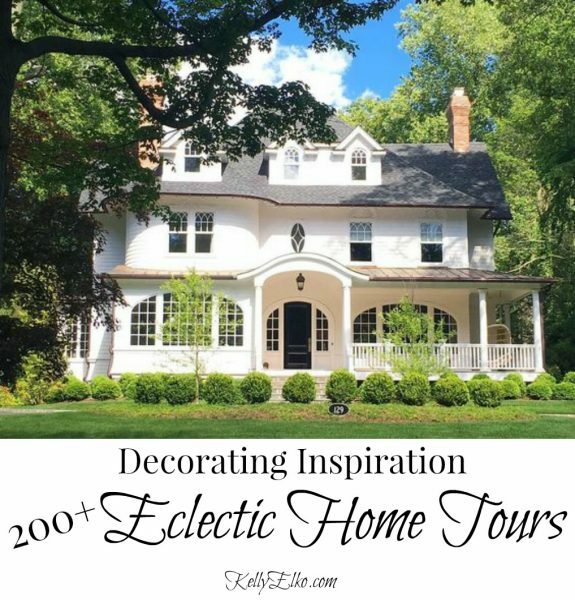 Kelly, I can’t thank you enough for featuring our home on your blog! I’m truly honored and so appreciate you taking the time to learn about our ranch and include all of the details! 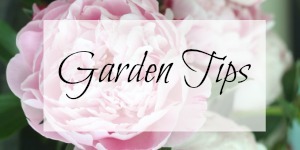 You blog is a wealth of eye candy and so much fun to explore! Thanks for including me!! Have a great weekend! 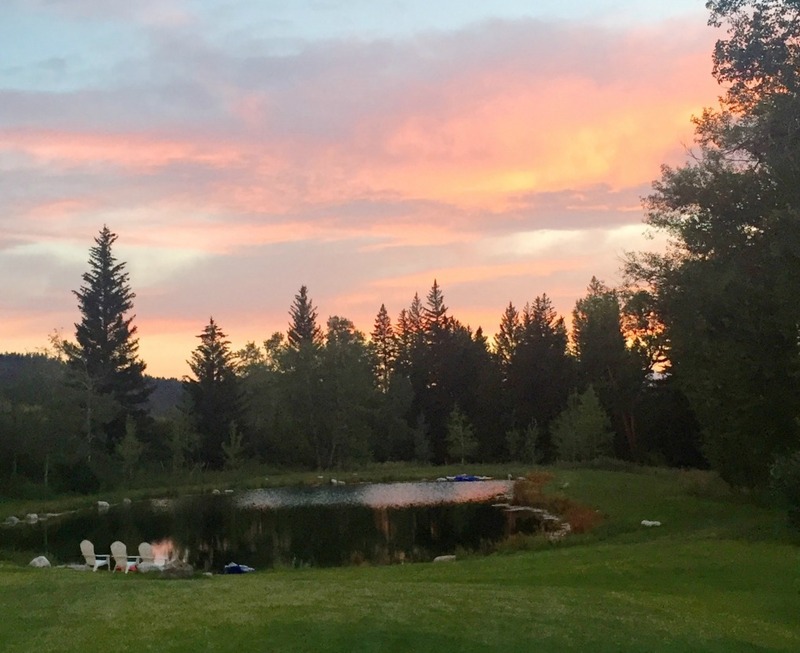 Thank you Karen for letting me share you – your ranch is truly fabulous! 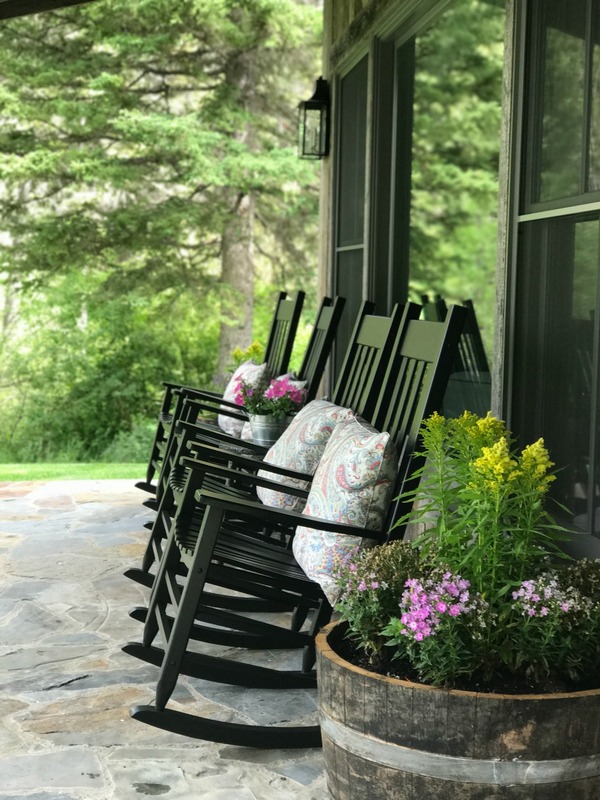 Wishing you all the happiness as you rock on your porch with a glass of vino! Thanks so much – this is one of my favorites! 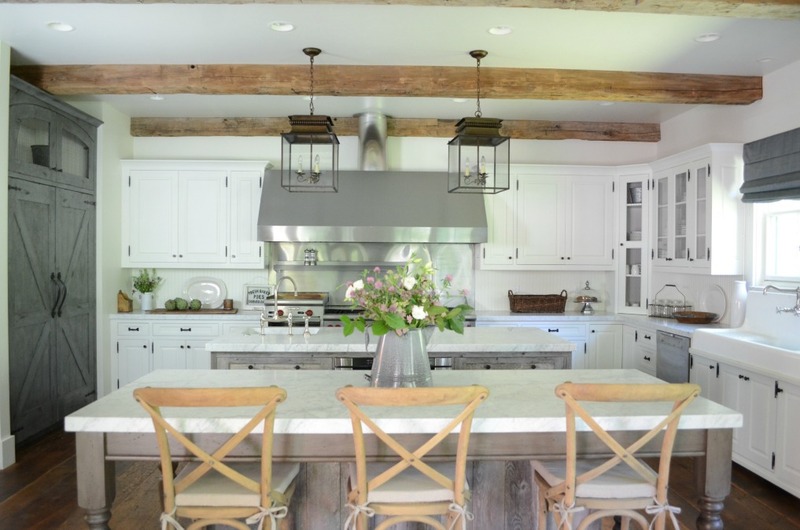 Since I’m a big fan of so many different styles, I love these ecletic homes! They’re a great inspiration of how different stuff can work together! Wow! 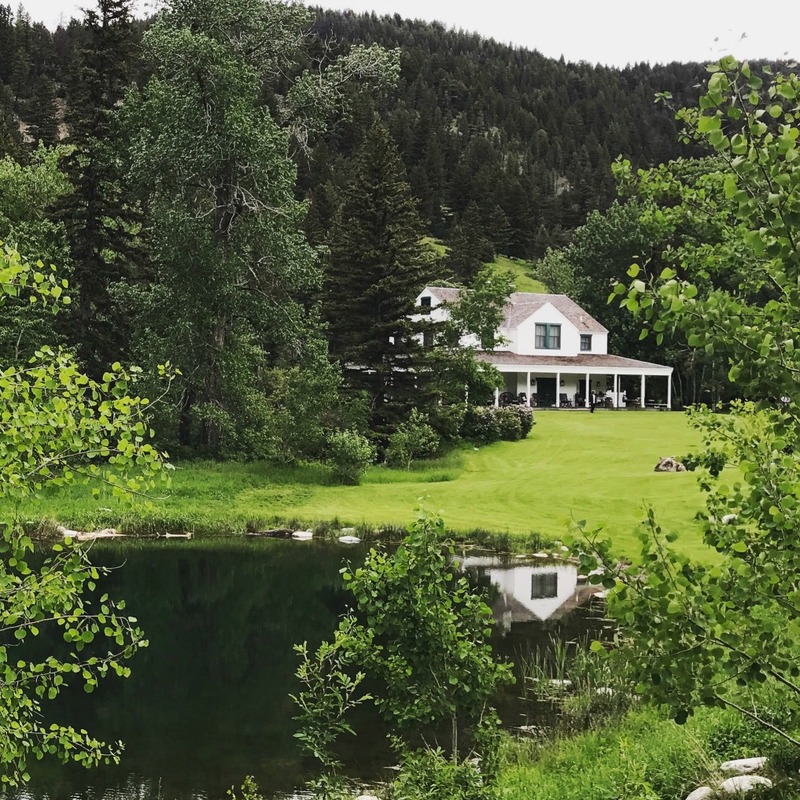 This home and ranch are absolutely stunning! It’s in the perfect location with stunning views. Both the main house and the guest house are gorgeous! 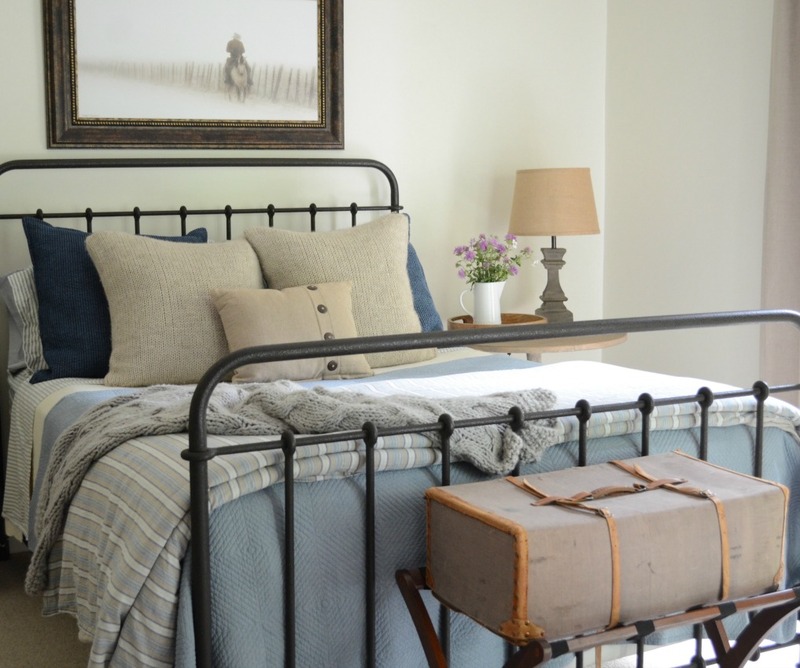 I love the rustic vibe and the addition of vintage pieces for added interest. This is one of my favorites! I love her dog too.